To secure high-quality fish farming water using sea water | Key question | DAICEN MEMBRANE-SYSTEMS Ltd. The bottleneck in inland aquaculture of fish is definitely the running costs for maintaining the water environment of culture. The water pumped up from sea water has to be kept at a certain water temperature throughout the year, and it contains bacteria, etc. which may cause contamination and food poisoning, so management of water quality becomes a key point. It is desired to decrease the running costs while improving the productivity using high-quality fish farming water by promoting recycle of sea water. 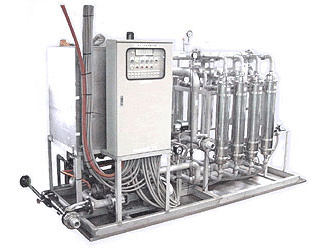 The ultrafiltration membrane (UF membrane) manufactured by DAICEN MEMBRANE-SYSTEMS is proven in many cases and receives high reputation for its high-quality water purification. We propose to introduce the SUF system which uses the UF membrane above. 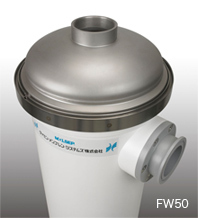 Since the SUF system removes turbidity components, pathogenic protozoans including Cryptosporidium, bacteria, viruses and others, high-quality water environment which accelerates growth of farmed fish is realized using circulated sea water. Because of its compact design, it is possible to introduce the system in the space as small as 1/2 of the other processing method, and the left space can be used as additional space for the culture tank.